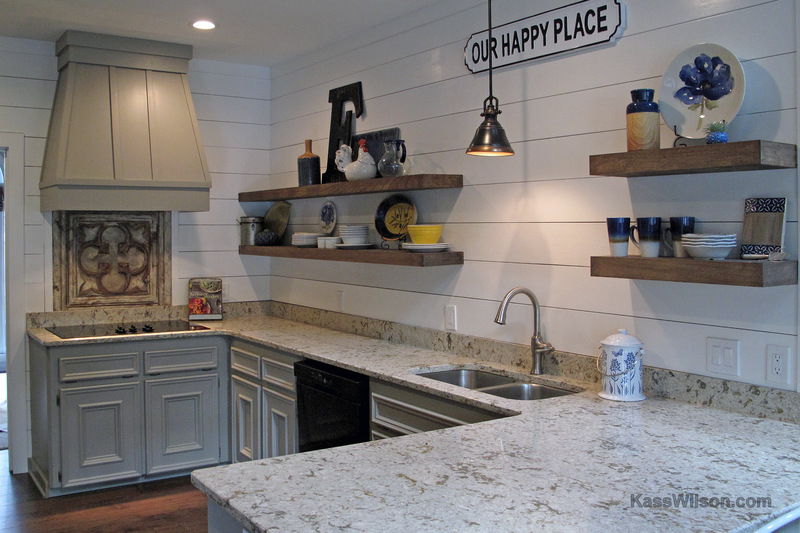 How do you add warmth and character to a new modern kitchen? 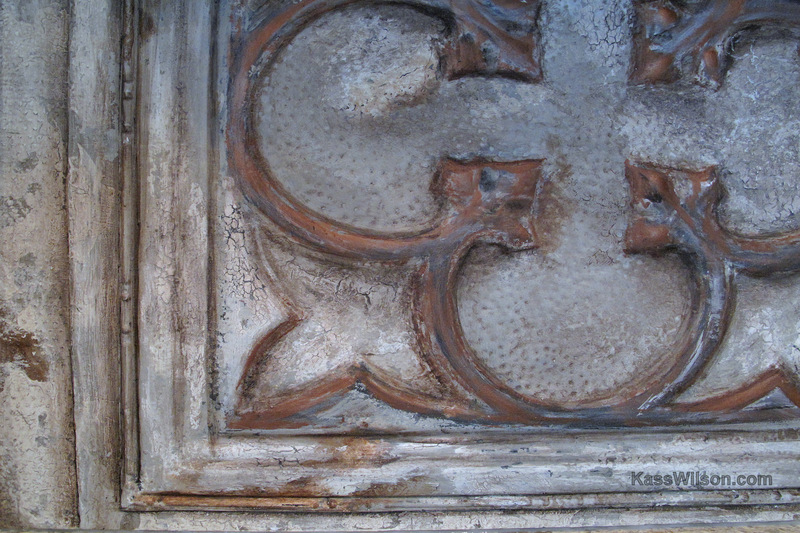 Add a touch of vintage to the mix via the art of salvaged artifacts. 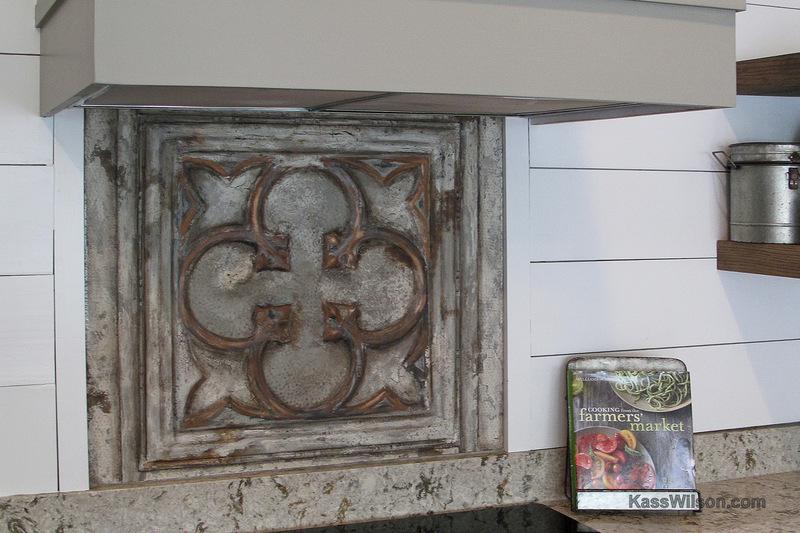 The perfect focal point was created using this ceiling tin as a backsplash. It offers a trash to treasure or “tossed and found” solution. 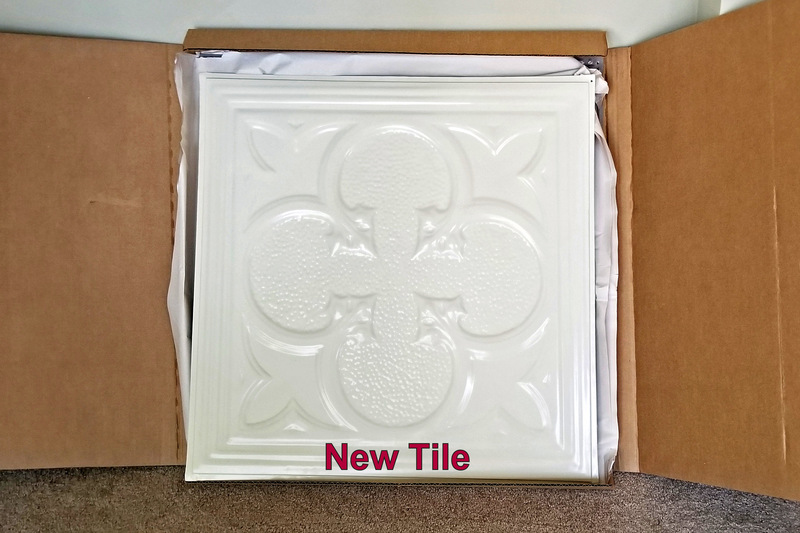 What an unexpected and refreshing option to predictable tile. If you are not fortunate enough to find the perfect vintage ceiling tin at your local salvage yard, the answer is simple … CREATE ONE! This tin was purchased brand new. 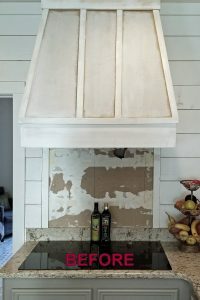 Many layers of faux finished aging techniques gives it the appearance of an authentic reclaimed ceiling tile. 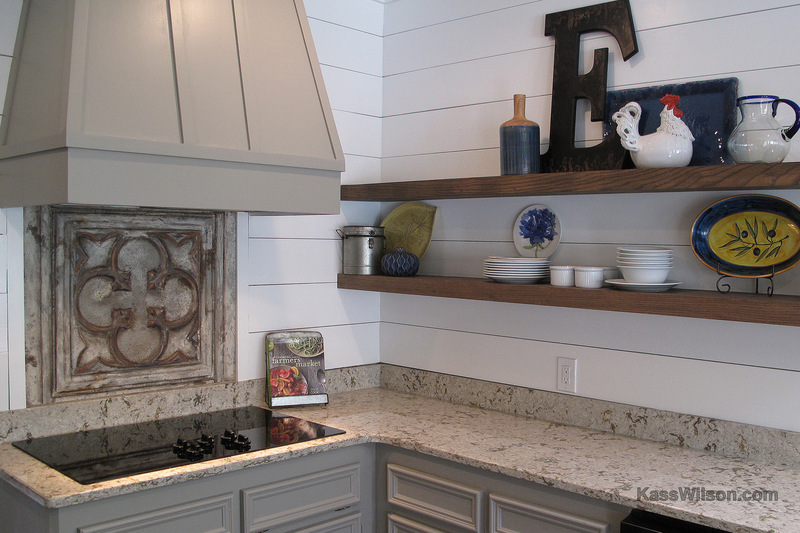 The layers of each color were selected to blend effortlessly with the new elements in the kitchen and compliment other reclaimed accessories. Reclaimed items celebrate humble materials. 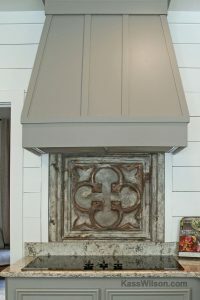 This single antiqued ceiling tin showcases the strong architectural element which honors the Asian concept of wabi-sabi … the beauty of imperfection that occurs when surfaces are exposed to the elements over time. Surrounded by the sleek clean lines of the rest of the design, it stands out proudly and appears as an honored survivor of the natural aging process.